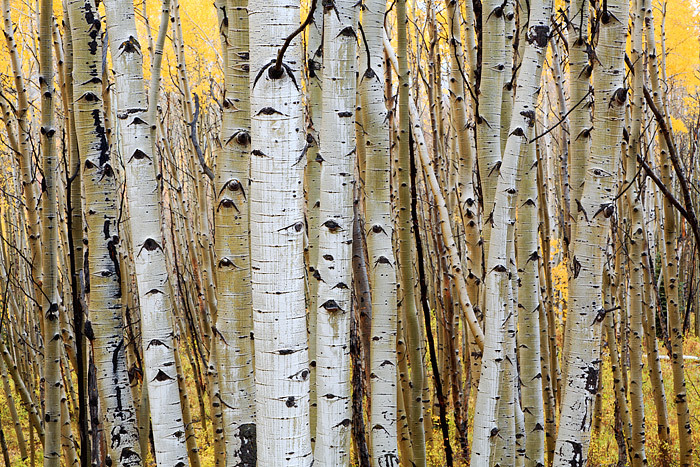 Kebler Pass features one of Colorado's largest Aspen groves. Every fall, just outside of Crested Butte, the Aspens put on a vibrant display of color. The golden Aspen leaves look great in Colorado's vibrant sunshine but look just as splendid on a rainy and foggy day. Photo © copyright by Thomas Mangan.